Baby Shower Gift Basket is an amazing gift for newborn baby girl or baby boy, white baby tub filled with fox hooded towel, baby blanket and much more. 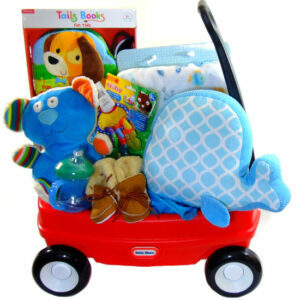 The baby gift basket will be delivered to the new parents door steps with Free Toronto Delivery. Baby Shower Gift Basket an amazing gift for newborn baby girl or baby boy. 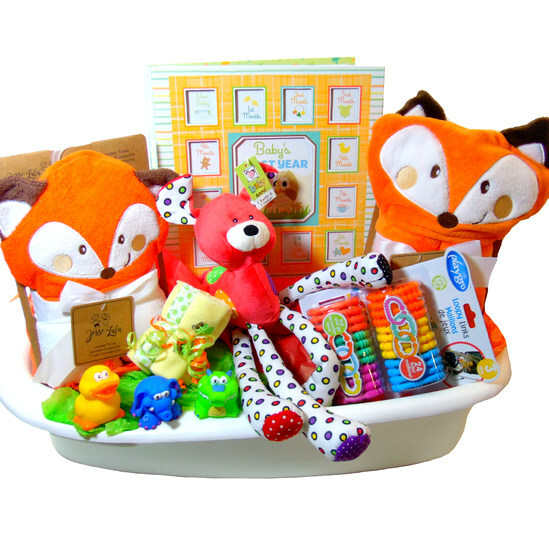 white baby tub filled with fox hooded towel, baby blanket and much more. 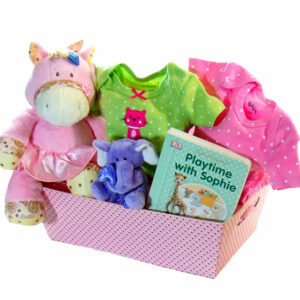 Baby gift basket ideal for baby shower boy or girl. Every thing new parents need for the newborn. The baby gift basket will be delivered to the new parents door steps with Free Toronto Delivery.